The EpicPromise sets its sights on achieving a zero footprint. That means zero net emissions, zero waste to landfill and zero net operating impact to forests and habitat – all by 2030. They’re working towards their goal through a wide range of actions from sponsored employee volunteering to investment in carbon offset programmes, 100% renewable energy and environmental stewardships. This spectacular 5-star hotel in the heart of Whistler village takes care of guests every need – including the desire for positive environmental action. In their quest to become the most eco-friendly hotel in Whistler, The Westin Resort & Spa run a successful Make a Green Choice programme, allowing guests to enjoy reward vouchers in return for making eco-conscious choices. For example, just one night declining a full housekeeping service adds up to huge savings of water, electricity and natural gas. And that’s not all. 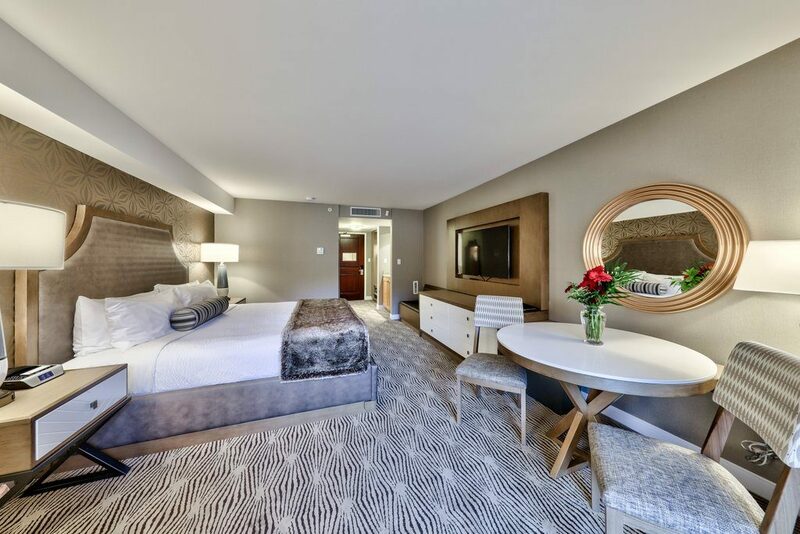 The hotel has heavily invested in a number of energy-efficient systems from a hybrid guest shuttle to a cutting-edge Energex heating and cooling system, which uses infra-red sensors in rooms to detect when guests are present. 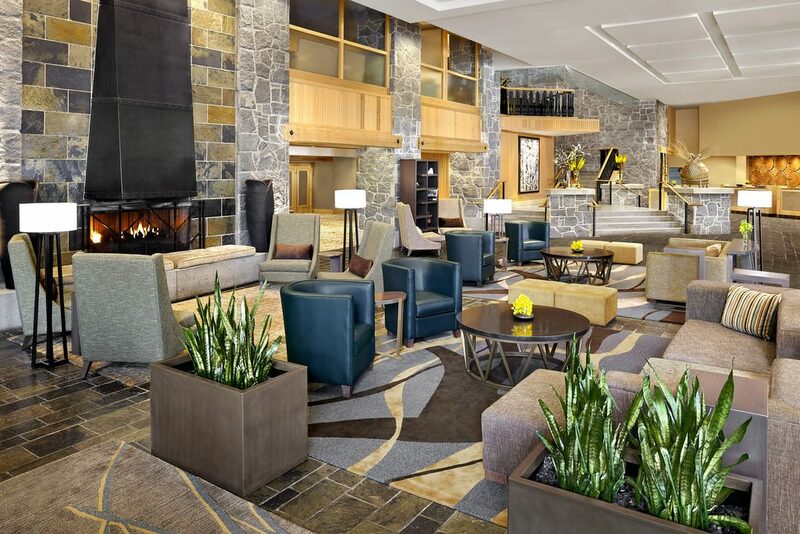 Also vying for the title of the greenest hotel in Whistler is the luxurious 4-star Hilton Whistler Resort. Their recent renovation upgrades included a wave of eco-friendly investments, including energy-efficient lightbulbs, economy flush units in all toilets, eco showerheads, biodegradable take-out packaging and the fastest electric vehicle charging station on the market: the powerful evCharger CS-90. Their initiative of asking guests when they would like their sheets and towels to be replaced, saves over 12 million gallons of fresh water every year. Which just goes to show how keen us skiers are to do our bit for the planet when given the option. Heading over to the stunning Canadian resort of Banff, the eco credentials of the elegant 4-star Moose Hotel & Suites certainly deserve a mention. 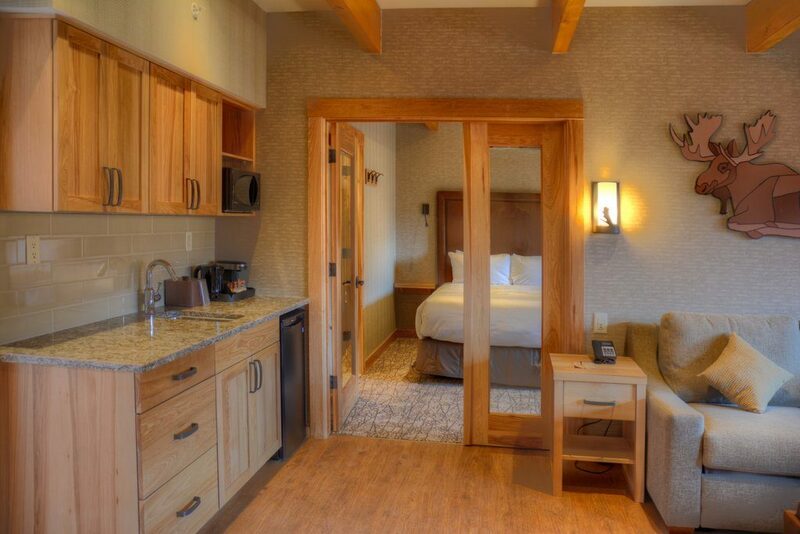 Rooms are provided with LED lightbulbs, ultra-high efficiency toilets, recycled paper products, recycling bins and natural Rocky Mountain Soap. Beautiful reclaimed wood has been used to create many of the hotel’s charming rustic features and you’ll find not one but two Tesla charging parking stalls on hand for electric car drivers. We know most guests are thrilled to get the chance to make green choices when staying in a ski hotel, but a little extra incentive never hurts! 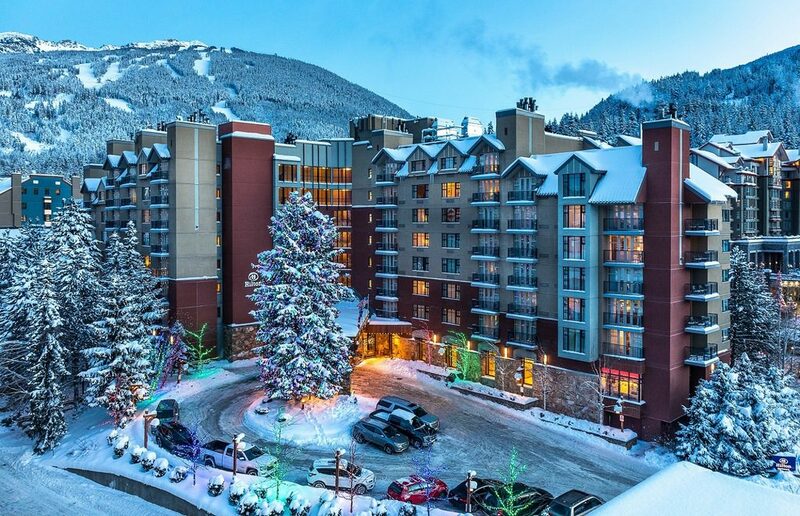 The exclusive Sun Peaks Grand Hotel in British Columbia’s popular Sun Peaks resort likes to reward green guests with a generous eco-stay discount. Simply opt for every 2nd day housekeeping and you’ll receive a 5% discount on your stay in this full service 4-star accommodation. 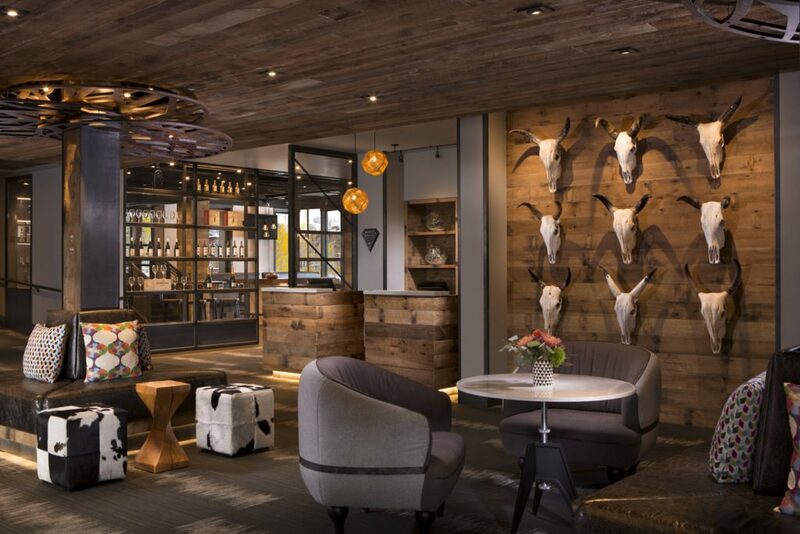 Wyoming’s unique must-ski destination, Jackson Hole, is home to the boutique Hotel Terra, shortlisted as one of the World’s Best Green Hotels in the 2018 Ski Awards. Why not soak up those big mountain views from a luxurious base that goes the extra mile on its environmental responsibilities? From 100% recycled roof shingles, made from recycled tyres and other landfill materials, to sleek recycled glass bathroom countertops, 4-star Hotel Terra truly embraces sustainable design. All power is generated using renewable energy technology and guests are treated to aluminium water bottles, pure mountain air circulating around their rooms and cosy organic robes. It’s not just North American hotels and resorts who are taking bold climate action, Europe is also embracing the challenge head-on. And one of our favourite 5-star French hotels is among the most inspirational. 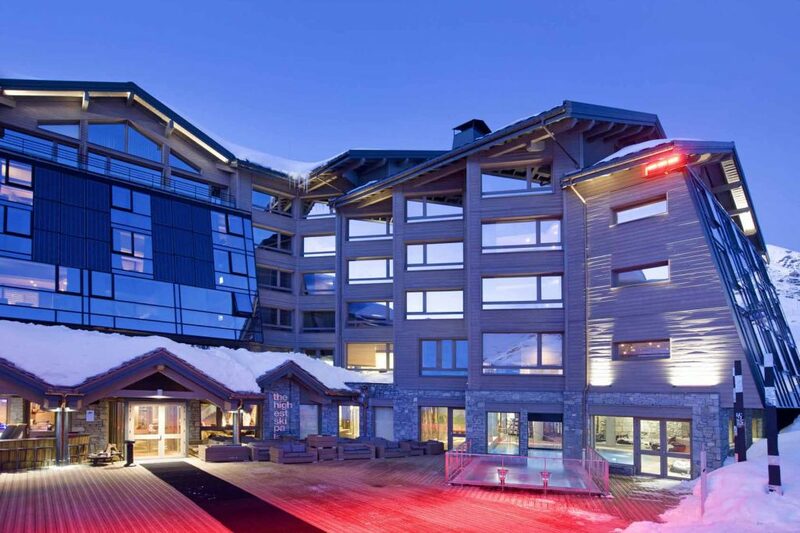 The striking ski-in/ski-out Hotel Altapura showcases some of the latest contemporary eco-architecture, such as integrated photovoltaic wall systems that produce energy from both sunlight and artificial light, energy-efficient indoor climate control, and state-of-the-art solar panels. This high-altitude French resort is fighting to retain its snowsure status by leading the way in sustainable tourism. 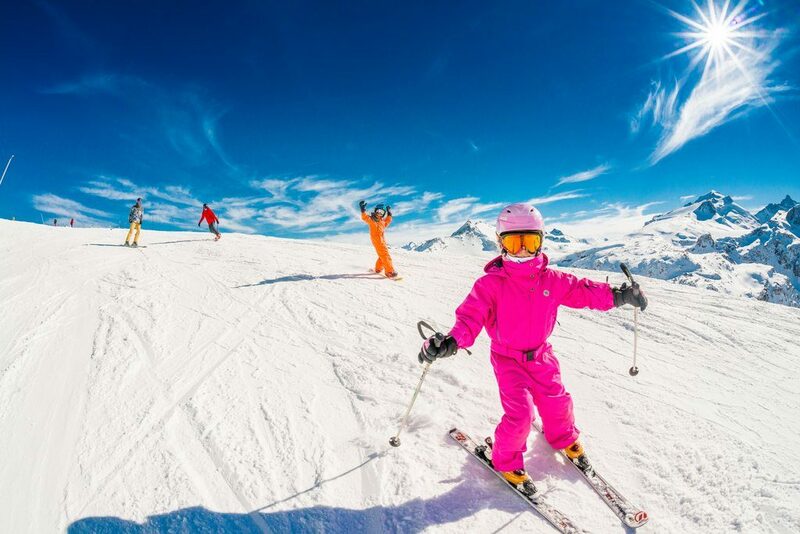 Tignes is the first ski area in the world to receive the Green Globe certification for its commitment to making positive environmental contributions. Actions taken to comply with the award’s 40 strict criteria included yearly grass-planting to boost biodiversity, a fleet of environmentally-friendly buses, removing over 100 ski lift pylons and supporting local business infrastructure. 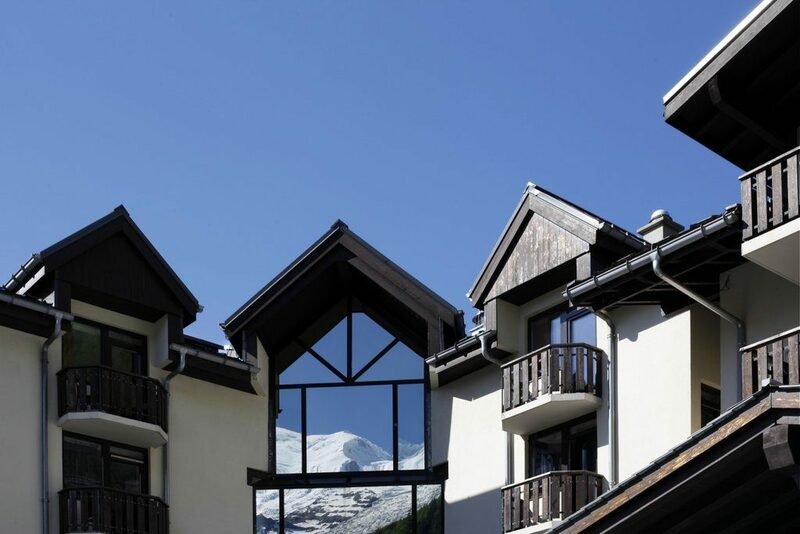 What could be more welcome after a long day on the pistes than soaking in a warm swimming pool with soaring views of majestic Mont Blanc? We think a soak in a pool heated by a sustainable Nordic wood pellet boiler is even better. And that’s what you’ll find at 4-star Hotel Le Refuge des Aiglons, where they are determined to help preserve their breathtaking surroundings. 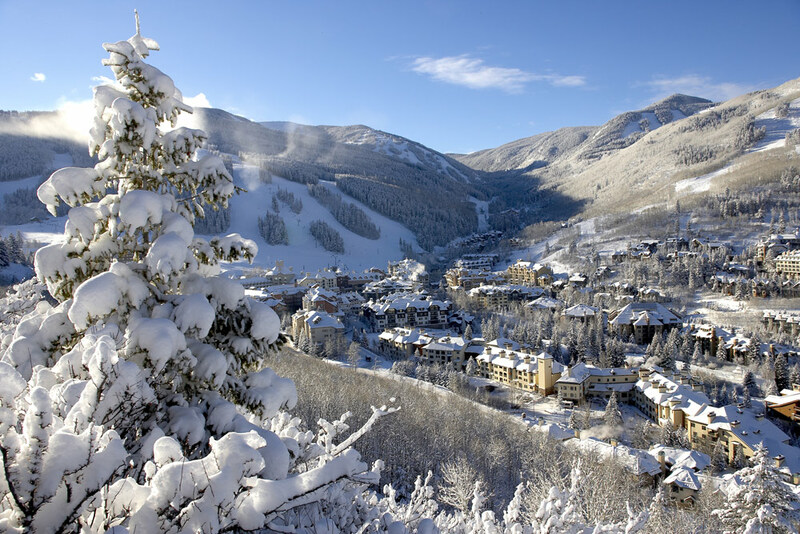 We love that green ski resorts and hotels are joining the movement to reduce their environmental impact. 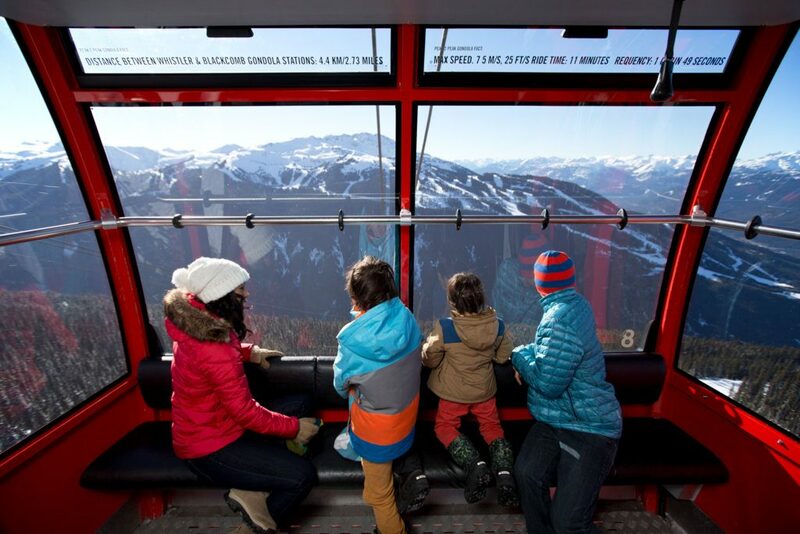 By championing these moves towards sustainable tourism, we can all help spread the Protect Our Winters UK word and ensure future generations can experience the unrivalled joy of winter sports. They engage individuals and organisations through their snowsports livelihoods and passions, educate them on the risks of climate change and support them to take effective action.